If you are an avid gamer, you might know that video games run on an engine. As with cars, there are various engine manufacturers. Currently the more ubiquitous ones are Unreal and Unity. Amazon – yes, that Amazon where you can buy anything and have it delivered on the same day – just announced that they are getting into the game development industry in full force with their own free-to-use engine called Lumberyard. 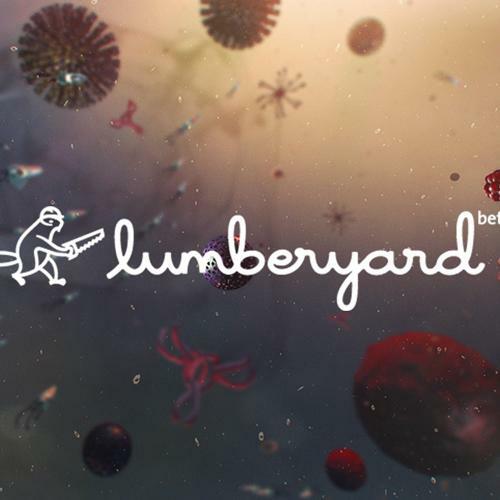 Lumberyard is a cross platform 3D engine that boasts a bevy of features including integration with Amazon's Cloud services as well as special Twitch.tv integration. But this news is interesting beyond the fact that Amazon, which has been slowly creeping into the game industry via publishing and selling games, is now in it whole hog. The promoted feature that Amazon is hoping sets them apart is the integration into their cloud-based computing services, which could be used for simple things like storing game saves; but also for more advanced things like leveraging numerous computations to help run the massive multiplayer game servers. This sounds great, but it's hardly anything new or revolutionary. I think that the Twitch integration is what they are hoping will be their big win. Twitch Plays is a new phenomenon. I wrote about the first ever Twitch Plays when they put up Pokemon and beat the game. Since then, there have been countless Twitch Plays streams hosting various games of complexity. Sure it's novel, but the really interesting Twitch integrated games are things like Choice Chamber, where a player runs through a platforming game (think Mario, while users in chat vote which obstacles or special rules the active player has to obey). From there, more developers are trying to find interesting ways to integrate Twitch into their games, but it's no easy task to find a design that sates both the player and the audience. We have yet to see the breakout success that makes this feature the big winner Amazon likely wants it to be. But I do think it's just a matter of time. Unreal and Unity are the two main 3D game engines. Unity is considered one of the major driving factors in the rise of indie game development for its ease of development tools and its free access for hobbyists. Unreal has been around much longer, and it's the engine that drove many of the big successes on consoles for the past few generations. Like Gears of War? Unreal. Bioshock? Unreal. Batman? Unreal. You get the picture. However, due to Unity's fast-spreading adoption rate across new developers, Unreal switched their model to compete with Unity, with a free version for developers. Unity also has its fair share of super hits. Cities: Skylines? Unity. Hearthstone? Unity. Kerbal Space Program? Also Unity. Part of the reason is that, traditionally, game companies would invest extensive resources into developing their own proprietary engine for their games. But with the rise of better tools made by Unity, Unreal, and now potentially Lumberyard, developers can spend less time making tools and more time designing games. What makes these engines special is the ease with which anyone can pick them up and start making a game. Typically, you would need to understand programming and some low level computer science. Now, these engines take care of most of that. I've written before about game jams where people make games rapidly, sometimes with no prior experience, and walk out with a completed game. These tools make it happen. So will Amazon come in there and make waves? Most of the developers I've asked have responded with, "Let's wait and see," which seems fair. But aside from the Twitch integration, it feels like Lumberyard doesn't do anything that Unreal and Unity haven't already been doing.